All-round talents. They're good looking. They're bright. They're usually musical. Generally speaking, they're sporty. And more often not, they're nice as well. God. Olympic sports, in my experience, are a particularly rich habitat for the all-round talent. 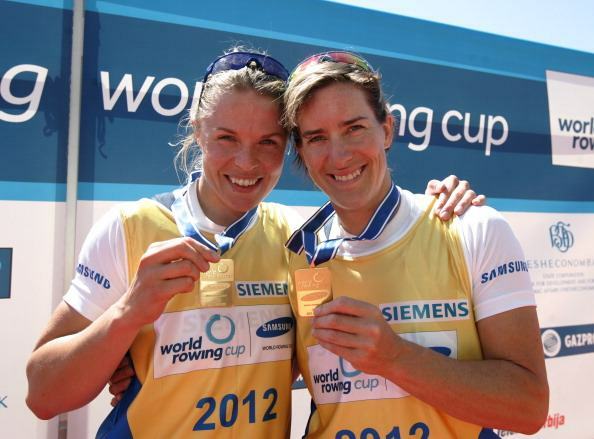 Rowing is one of the worst offenders – sorry, paramount examples. Bodies beautiful on the water and brains bountiful on dry land. It is a phenomenon which seems to hold good all the way through the sport. Watkins – another case in point. Before she changed her maiden name of Bebington, I interviewed her about her brilliant career to come. She mentioned how, as a student at Newnham College, Cambridge, she had arranged for some of her friends to be in Newnham Gardens at a certain time so they could observe her flying over; since she planned to give them a wave. But when she arrived in the airspace over the august women's college, nobody was there to wave back. The tale was related with rueful laughter. But I was thinking – she was studying at Cambridge and she'd just taken up rowing in a big way. And she'd learned to fly. Which brings me to Natalia Sheppard (pictured below). 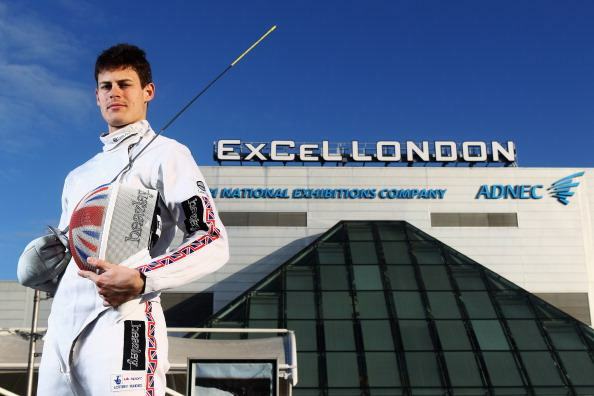 Sheppard's nimble form was in the line-up at the Institute of Education in Russell Square recently as Britain's final quota of 10 fencers for the London 2012 Games were named and famed – relatively speaking, that is. After the photographers had had their fill, concluding with an artful, semi-casual arrangement of the assembled talent, Sheppard settled down on a seat – although you felt the inactivity cost her – and described what one might call her Olympic journey, were it not for the fact that, until quite recently, she never intended to travel anywhere of the sort. Born in Gdansk, Poland, she took up fencing at the age of 10, and by the time she left to study in Britain aged 17 had established herself as a multiple national junior champion and international performer, representing her country 30 times and winning at the World Team Junior Championships. However, although she turned out a few times for the University of Bath, where she studied maths and computer science – can you imagine how pleased the fencing team coach would have been with the new girl? – she pretty much gave the sport up. But in February 2010, now married to Gary and with an additional law degree, she halted her progess towards becoming a barrister to consider – at her husband's suggestion – whether it might be worth giving fencing one last thrust. 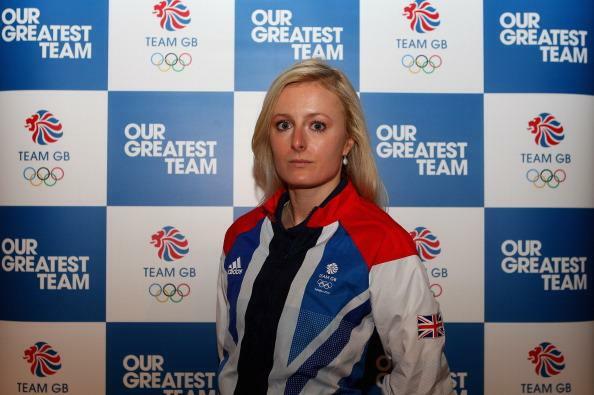 "I had kept up a little bit at university doing a few competitions, but not any international fencing," she said. "I certainly didn't have the Games in mind. But when I was doing the competitions Gary had had people come over to him and say 'Why doesn't she try for the Games?' and so we decided why not try and see how it goes? "I decided before I try to do anything else seriously on the legal side I am going to try and do my fencing, because you couldn't do both at the same time. "I was pretty decent, but I hadn't fenced seriously for nine years, so obviously there was a big gap. Sport moves on and it's quite a technical sport so the style moves on. But I thought 'why not try it?' and quite quickly got onto the British team, although I was never handed anything or guaranteed anything." Operating on that basis, even though Britain, in all sports, has the option of selecting people via Host Nation places, Sheppard decided she needed to qualify for her place. 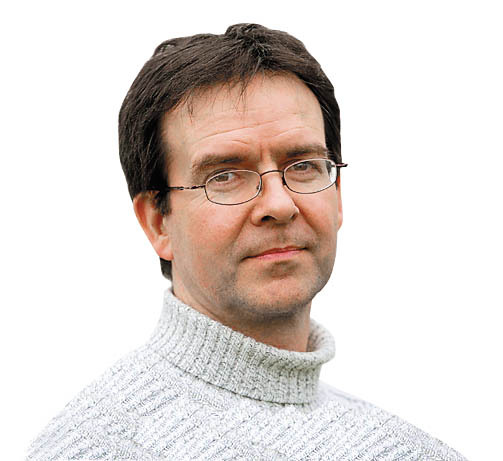 Of the 10 fencers up on the stage in Russell Square, two had not required Host Nation places – double Olympian Richard Kruse (pictured below), whose eighth place at the 2004 Athens Games was the best performance by a British fencer since 1964. And Natalia Sheppard. While Kruse qualified through his world ranking, Sheppard left it until the European Olympic Zonal championships in April. The event in Bratislava had additional Olympic places on offer to the two finalists only. Something of a tough call. "I had to reach the final, and there were about 15 other competitors going for the two places," Sheppard recalled. "It was one individual per country, and each competitor was trying to qualify for the Olympics on that day. It was very tough. But it was actually a really good experience to give you a taste of what it's going to be like with the pressure at the Games. "My hardest fight was against the Romanian, Cristina Ghita, in the semi-final, who recently dropped out of the rankings because she had been injured, but in the past she has been ranked in the world's top 20. "There was no final fight, because once you qualify you have a place and people don't want to risk getting injured and people don't really fancy that. "If I hadn't got through to the final I would have hoped I would have been chosen anyway. But for me the only way of guaranteeing my place at the Games was through qualifying." Asked to estimate her prospects at London 2012, Sheppard (pictured below, right) becomes circumspect. You can see the lawyer in her. "It's diifficult to say," she ventured. "I always look ahead to nearest competition. I never look too much ahead because you can just put yourself off the things you are trying to achieve at the time. But hopefully if you tick all the boxes you get the end result." At that next competition, the European Championships in Legnano, she finished 26th in the rankings, losing in her elimination round to Larissa Korobeynikova, who went on to take the bronze medal in what was a clean sweep for Russia, with gold going to Inna Deriglazova and silver to Kamilla Gafurzianova. "In every competition the better you do the more your ranking improves, and then the Olympics is based on the rankings," Sheppard said. "So my focus is to get as high a ranking as I can so I've got the easiest route at London." Once there, however, the lawyer's caginess may disappear. "Obviously when you get there, hopefully you think you can beat all your opponents," she said. "Because it's on one day, and it's not like running, where if you have never reached a certain time you will never beat these people. But in fencing very often it is in a day and very often a lot of good fencers crack under pressure. "The Olympics is something that only comes around every four years, some people only go to the Games once, and there is a lot of pressure on their shoulders to achieve a result put on by their country. "Whereas with us we are going to have the support of people who haven't seen fencing before so there may not be that pressure. But I'm sure it's going to be a great experience." Question. 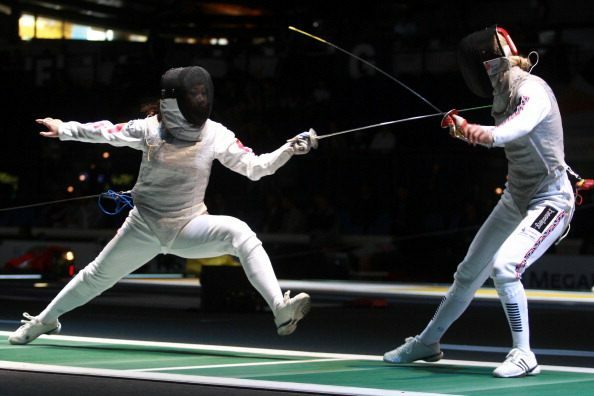 Being a barrister and being a fencer: is there any similarity? "Well," she responded with a grin. "It's winning, isn't it? And being an individualist." I'm not saying I'm a criminal or anything, but if I were, and I found myself in court (not on the press benches) then I would certainly want Natalia Sheppard to be defending rather than prosecuting me.